This page is reserved for our thoughts about our years at SJV. Please consider telling us about your memories. Just type it up and e-mail it to me. I would like to hear about what you've been doing since graduation. Then maybe reflect on how then and now are related. Is there a thought, a memory from SJV that stuck with you all this time that might have influenced your life's direction? A couple of you have already sent me some messages... let me share them with with you. For your protection, I'm omitting any phone numbers and addresses. To make it fun, I'll add then and now photographs when I can. working in the computer field most of my life engineering, installing, servicing, and maintaining large computer systems. I participated in operation Desert Storm during the Gulf War as a Merchant Marine Radio Electronics Officer serving aboard the USN Ready Reserve ship the "Cape Juby". We transported Ammunition and amored vehicles to Saudi Arabia for the US Army 7th Corps during the war. I am also an Amateur Radio Operator. My call sign is WA4IRE. I enjoy restoring and operating vintage Ham Radio equipment constructed during the 50's and 60's. I am 50 years old and have two children. Emily is 18 and Matthew is 14 years of age. Unfortunately, I have lost contact with all my class mates over the years. I applaud your attempt to find us all, and I wish you success in accomplishing this task. I often wonder if a member of my class Mike Sullivan ever made it back from Vietnam? It would be nice to learn what happened to my old class mates over the years. I hear that Jim Krietner was the only member of our 120 member freshman class to make it to the priesthood. Do you know where Jim is and What he is doing? I often think of him when I reflect upon my Seminary experience. I hope you find all of us in good health. I have no objection to sharing my comments on the Reflections page. I think that what you are doing is a great idea that has the potential of renewing many old frienships. Yes. There were so many freshman in my class that we had to have two freshman classes. Don't quote me on the 120 as my memory may have failed over all these years. Suffice it to say that there were a lot of us. I learned several years ago that St. John's minor Seminary was closed and converted to St. Brendons High School. However, I was glad to see that the Junior college progam survived. I really enjoyed your web site, and plan on visiting it at regular intervals to view for your updates. Seeing the pictures of the Campus and old teachers really brought back many memories of my roots. The St. John Vianney religious, educational and social experience impacted my life in a very positive way. I am proud to say that I am an alumni of St. John Vianney High School. Marion Radson and I both went to the University of Florida, where he graduated from Law School. I assume that Marion is still practicing Law. I considered Marion a very good friend. When we were attending the University of Florida together we chipped in to buy an old Florida State Trooper patrol car for our transportation. It ran well and was very fast so we were never late for class (hi). Roger Galagher was also a very close friend of mind during the Siminary years. So I was glad to read that he was close by in Orlando and doing well. Tom Wenski was in the class after mine. It was great to see that Tom not only made it to the priesthood but is a Bishop to boot. I wish him the best in his ministry to our Hatian community. Walter Cambell was in the class ahead of mine. I was pleasantly surprised to hear that he was a Senator (I assume for the State of Florida). Walter and I were Room mates during my Freshman year at the Seminary Junior College program. I valued the guidance that Walter gave me from time to time. It was really great learning what has happened to some of our old class mates. I hope we can find them all soon. I think that I may have the first year book the Seminary published. If you need student information I would be glad to look for it, and give you the names that are missing from your list on the St. John's Web Page. I believe that I was a high school sophomore (1962/1963) when the first year book came out. So if the book is still in my possession I will have the class roster of the 4 classes ahead of mine. Let me know if you want me to compile this information for you. As I recall, St. John's published a year book each year throughout the time I attended (1962 through 1968). I should have them all. order! ), I was very instrumental in a lot of the initial activities at St. Brendan's. For instance, I was the one who first suggested that the team name be the Sabres! (It seemed very logical to me: SAint BREndan--get it?) I was one of the editors of the first yearbook, and I still have a copy, containing very embarrassing photos of me in longish hair and a polyester wide-collared shirt. I'm surprised to find that Ms. Behnke is still at St. Brendan's: I was in her first class at St. Brendan's, a section of Sociology that I remember fondly to this day. Even more surprising, I was a student of hers before she came to St. B's! She taught 7th/8th grade English at St. Theresa's School in Coral Gables before coming to St. Brendan's and I she was my 7th grade English teacher there. If you'd like current info about me, I'm now a professor of mathematics in my 10th year at Xavier University in Cincinnati, OH (a Jesuit university somewhat well known for its basketball team), and the only member of my family not still living in South Florida. My sisters Julie and Ana were St. Brendan graduates of the class of '81 (I think), and Brenda was class of '86 (or thereabouts). Good luck with your alumni project. Yes, I am the Dominic M. Calabro, 1974 graduate of St. John Vianney Minor Seminary, Archdiocese of Miami, Florida. I am president and chief executive officer of Florida TaxWatch, a statewide nonprofit, nonpartisan government watchdog and taxpayer research institute based in Tallahassee, Florida. Please check our website to find out more about me and my activities@www.floridataxwatch.org. Hit the subsite on Florida TaxWatch staff and then double click the link to my background and activities. Also, please tell me more about any planned activities to celebrate the 40th anniversary of St. John Vianney Minor Seminary. As you can tell, when I attended it was still an all-male seminary. I have been married for 20 years to a fellow Catholic (Debra L. Calabro) and have four children (Diana, age 15 in 9th grade; Dominic II, age 13 1/2 in 8th grade; Christina, age 12 in 6th grade; and Danny, age 9 1/2 in 4th grade). I was the dean/president of my junior and senior high classes and was the salutatorian at our joint high school and junior college (philosophy) graduation on May 25, 1974. I have kept up contact with a few of my classmates and some from other classes. Given my location in the state capitol and my job, I have encountered a number of SJV alumni over the years. I am also very active in Good Shepherd Catholic Church in the Diocese of Tallahassee-Pensacola and am good friends with the executive director (Dr. Michael McCarron) and the general counsel (Sir Thomas Horkan) of The Florida Catholic Conference based in Tallahassee, Florida who may be able to assist us in this search. Alonso lives in the Fort Lauderdale area and is employed by the State Auditor General's Office. Senator William "Skip" Campbell also lives in the Fort Lauderdale area. Roger Gallagher is an RN and nurse anesthetist who lives in the Orlando area. And of course Michael Greer is a priest in the Miami Archdiocese. I hope this is a good start to a productive search. Now a Bishop! As far as I have found, this is our highest ranking religious SJV graduate. More information is available here. I guess I need to say a few things too... I was a student of SJV for only one year, my freshman year. There were 14 of us. Somehow, we kept all 14 all year; something I now understand was quite rare. The entire high school was only 34. With a 33 acre campus, looking back on it, it's understandable that the Archdiocese couldn't keep this up for very long. So, near the end of my freshman year, we got the news that things would be very different the next year. SJV as we knew it would be closing and a new co-ed high school, St. Brendan would replace it. A few of us stayed on. 7 from my class went on to graduate from St. Brendan. For my upper classmen, some stayed, some couldn't come back. Imagine coming back from Summer vacation and finding everything but the buildings, and a few of your friends has changed. Two became the class of 1976 of St. Brendan. Our original 7, and about 100 others became the first full size class of St. Brendan, 1978. There was something special among the 7 of us. The bonds made in 1974-75 lasted. I wish I could have had the full effect of a 4 year Vencentian education. From having a priest for every class (except religion) to having only one (for religion). From daily mass to only special occasions. From not getting away with anything to getting away with too much. Let me just ramble about some things that come to mind, maybe they'll trigger a memory for you.... the chapel bells... the pipe organ... worklist... cleaning the reflection pond...the jake... washing the dishes with Raul.... letting a little wood polish end up on the floor in the first pew... turning on the pipe organ and holding down the first pedal to hear the place shake... the huge sprinkler for the field... the wonderful sound our untrained voices somehow made in the chapel... circumstantes (sp.?)... fear of being the reader... Josie's smile in the refectory... the catacombs... Fr. McNamara singing at the piano.. the stereo in the high school building (which I still have!)... Senior graduation, my birthday, the end of the school and a lunar eclipse all on the same day... Almost getting Fr. Flemming on a ride at the Youth Fair... The wrong ways to pronounce Fr. Trzecieski's name... Tabasco in the College guys' ketchup bottle... "Lord of the Flies"... Elton John.. Casino Night... Fr. 'fast' Fred... Fr. Flemming 'I see a bear... where?"... The chapel lighted at night.. my father ending up in the year book.. Sneaking to Westchester to get a borrowed school key copied.. Robin and I being the last to leave on the last day... a very sad day for all of us. James W. Kreitner, 34, dean of students at St. Vincent de Paul Seminary in Boynton Beach, died of cancer Friday in Fort Lauderdale. Father Kreitner was former assistant rector at St. Mary's Cathedral in Miami and principal of its school after his ordination there in 1975." Again, thanks for the fine work, and we'll be in touch. Wow... small world, but parallel universe. I would encourage you to do a small web site for the alumni of your school. My site started out as just a simple page on my personal site. But every time I got an e-mail from an alum, I added some more. Adding the stjohnvianneyseminary.org name was the latest change. If you do an SJV site, and submit it to the major search engines, others will find you. Everyone, from time to time, wants to check his roots. When you're thoughts meet their thoughts on the net, you'll make a connection and trigger happy memories you both had forgotten. I know a reunion for my high school would be just a dream, but the net might be a happy compromise. Take care. I wish you the best of luck in your search for classmates. I would have been in the SJV Class of 1970. I was one of "the stones the builder rejected". My departure from SJV in September of 1967 was one of the more unusual...but that story for another time. As an ex-seminarian (a tag that follows you in diminishing circles for life) , I have always felt a certain void in not having a more active role in helping the church. My dream would be an international Catholic service club of ex-seminarians who would volunteer to assist their local parishes, schools, missions, and - where possible - the priests who were once their classmates. This summer, I visited Graceland with my brother in law, Mike Hirsch(SJV Class of 1964) and his brother Paul (SJV Class of 1967). As I left Elvis' grave, I had the thought, "what if I had walked up to either of them at SJV in 1966 and said, "In the year 2000, none of us will be priests, we'll be related thru one of our marriages, and we will be visiting Elvis' grave ?" As for me, married to the same girl whose letters I snuck by Fr. Buckley. 7 children. Live on a farm in Southern Minnesota. Produce shows for PBS out of St. Paul. Our shop has produced "Hoop Dreams", "Newton's Apple", "Liberty!" , ect. Presently, I do a personal finance show called "Right On the Money"
We attend Mass at St. Agnes. Very Traditional. The 10pm Mass is always a full blown orchestral Mass performed by members of The Minnesota Orchestra and sung by the Twin Cities Chorale. During the summer, Masses are chanted by seminarians from St. John Vianney Seminary in St. Paul. Thanks for this great web site, which I will check often in hopes of reconnecting with old friends. About 20 years ago, I went thru the list of people I needed to forgive. My classmates who refused to stand up for me that fateful Saturday in 1967 were near the top of the list. First, out of gratitude to everyone who has participated in Reflections. It's great to hear from people across the years. Like dog years, every year at SJV was like 3 on the outside. Second, to challenge everyone to go out and try to get one more alumnus (or - in my case - dropout...or as I prefer "the stone the builder rejected") to participate in Reflections. Third, to find out if I am the only one who gets nausea when passing a Sexton food products truck in traffic ? Yes, that was me..I attended my freshman & sophomore years, 1960-1962, but switched to Archbishop Curley High my junior year, graduating in 1964. Like all good Catholic boys, I did a year at Notre Dame before realizing that I prefered warm weather, moving out to California and graduating from the Brooks Institute of Photography, Santa Barbara, in 1969. The first lottery-draft got me! After that, I worked as a photographer in Miami through the mid-seventies, developed and operated two camping resorts in Virginia though 1990, then sailed down to the Florida Keys to see what would turn up. I guess that I will be a child of the sixties forever. I've lived here in Marathon the past ten years, diving, gardening and managing a hotel-resort. The rest is on my website. Life's been great to me! Like most guys, I did not keep in touch with anyone from those years. If you ever locate Thomas Balicki or Patrick White, please drop me a line. Also, I think Chester Sadiwski is spelled 'Sadowski'. I never knew that he was from Marathon. I can't believe that I recognize so many in your photo of the 'first faculty'. Most of all, I remember Father Bradbury. As Bob Hope was fond of saying..."thanks for the memories". Truly a great job! I was Residence Director for Juniors and Seniors from 1965 to 1971 as well as Infirmarian (among other things!). I remained on the faculty until 1973. I have many happy memories of these years. I am still in touch with a few of my former students. I am presently at 65 Mapleton Rd. Princeton, NJ 08540. My e-mail address: ckrieg@cmeast.org. When I get a chance, I will try to help you with information on more of the faculty. May God bless you and your endeavor! I am Michael D. Faulkner and I entered the minor seminary of St. John Vianney in 9th grade in 1966. The new high school building was under construction. We were still living in part of I believe was Christopher Columbus property. Our dormitories were on the second floor. We held class across the way in the A-B building, as it was called. The junior and senior men lived in that building but classes were held on the first floor. To this very moment in time, and I am now 50 years old, I can recall my first day at class as a freshman in high school. My building prefect was John James Buckley, CM. He would turn out to be our chior master, though at the time we didn't know it. My Latin teacher was Michael, Vincent, Jospeh, Patrick, Brian Daniel, Thomas Ferrin, CM. (Yes, that was his real name - all of it) It may come as a surprise to you, but I can still conjugate verbs and deline nouns in the Latin language. There were other priests involved with our training. Charles Kreig, Emrick Hydo, Charles Mc Namara, William Bamber, James Morris, and Fr. Fredick Easterly. Fr. Easterly was a saint, I'm sure of it now as I was sure of it when first I met him. These humble, dynamic, and highly intelligent men, and many more, fostered in us a love for learning. Imagine if you will high school kids - wet behind the ears - full of piss and vinegar, being taught by men who had no less than masters degrees in their professions, most had Ph.D.s. You ask how did we turn out? I can not really speak for the other, I know only a few of my classmates now, and where they are. Terry Hogan entered the minor seminary with me. He, I have been told, is the rector of St. Mary's Cathedral. He studied music in Rome. By all accounts he has had a bright career. William Dorsey also entered the minor seminary with me. He, last I knew, lives in Tallahassee and is a judge advocate working in the legal system there. Dan Kroger lives and works in Vero Beach. He is my mother's minister of music at Holy Cross Catholic Church. I have never regretted for one single minute the education and experiences that fell upon me while I was attending St. John Vianney. Throughout my life I have often had occasion to recall lessons learned at the feet of those men who gave their lives for us. I attended secular university after I completed my master's in Theology from St. Vincent de Paul. (I stopped short of ordination). When I entered Florida State University in 1978 I could not believe that learned men and women walked the campus lacking the basics of what I came to know as a "good education." We were always told during our high school years that we were in "college preparatory school." Yes Ray, we were. My education was worth more than all of the money I have ever earned. I speak Spanish today because I was given a foundation in the language while in St. John Vianney. I am part of a professional consort of musicians because I sat in Schola with John Buckley. I have traveled to all of the major European countries and can identify on sight works of art, buildings, architectural marvels because I sat in Fredrick Easterly class on world history. I am a hospital administrator today because I was given a firm foundation in ethics, moral judgment, mathematics, science, literature, art and law. I did go to secular university, but my foundation came long before entering those doors. There is scarcely a day that passes that I do have some reason to use what was given me starting way back in 1966. You can put by my name, Hospital Administrator - Del Sol Rehabilitation Hospital El Paso, Texas. You are also welcome to share my email address with my former classmates. I was almost moved to tears to see the picture of St. John's chapel. You can not imagine how many hours I spent in that building. We rose at 5:00 am in those days and were in chapel for silent pray before Holy Mass. We had at least half an hour of prayer (most of us went back to sleep on our knees). We dressed in pajamas covered over in our black cassock and surpliss, and ran off to our pray time. The sight of that building and the reflection pond brought back so many memories for me. I particularly enjoyed seeing myself in old photos. I'm the one tying my shoes, wearing black socks (for God sake - black socks and tennis shoes). I'm also in the freshman class of 1970 at the College. Bill Horton was on of my very best friends in high school and in college and you have him full on in one of those photos. Unfortunately I don't have any of the school year books. Those photos brought back memories from a life time ago. Well Ray, this is getting a little long and I really had started out tonight with a view to working on a hospital project here at home. So be it. To walk down memory lane and relive for a few moments my teenage years was worth the time it took to do it. Stay in contact Ray. If you have particular questions that I can help you with I will do my best. I lived 7 years on that campus. I loved it. It changed my life forever. Thanks so much for this great web site. My name is Robert Burnaugh. I attended SJV from 1967 to 1973, leaving after 2nd year college. Father Krieg appointed me infirmarian and I have been in health care ever since. I worked for many years in hospital as a respiratory therapist and then went on to become a physician. I've completed training in Internal Medicine and am currently pursuing a fellowship in pulmonary and intensive care medicine at the Medical College of Georgia. I've been married for 22 years and have two teenagers! I had the occasion to return to the SJV campus a few weeks ago and it brought back many memories. I totally agree with Mike Faulkner, who I remember well, that the seminary made me the person I am today. We were so well educated by the good fathers that I never struggled in my studies until medical school anatomy! I still keep in touch with Dan Kroger, who drew the short straw and was my college roommate at SJV. I recently made contact with Fr. Krieg as well. Good luck with this website! Maybe SJV could invite us for the 50th anniversary celebration. I heard you found me through the National Federation of the Blind. I have been involved with them since 1983. When I was a senior at SJV in 1973, I learned I had Retinitis Pigmentosa, a degenerative disease of the retina. I surrendered my driver's license in 1981. Since then I went back to school, received a Master of Science degree in Mental Health Counseling. I am currently a hypnotherapist in private practice in Brandon, Fl. In addition to myself, my business, Body-Mind Connection has three Licensed Mental Health Counselors, and a Licensed Massage Therapist. I have been married to Jan for 9 years and have a 14 year old daughter named Aislinn. I am also a solo performing musician under the name "Marion & Martin". I play a Martin D35, for those of you I used to jam with at SJV. Once a year I still play "Alice's Restaurant, the Wednesday before Thanksgiving at the Fox & Hounds, an Irish pub in Brandon. I am also the President of the East Hillsborough Chapter of the National Federation of the Blind of Florida. I met Dom Calabro in Tallahassee when I was there to testify before Congress on Guide Dog Access and Braille Literacy. I have my third guide dog, A German Shepherd/Collie mix named Louiza. She is three years old and was trained at Southeastern Guide Dogs in Palmetto, Fl. Joseph Trutwin is married to Connie and owns a couple of construction related companies in Naples - Trutwin Industries. Hey Joe! Art Proulx was a Priest and teaching in Northern Pinellas, I think, but definitely in the Tampa Bay area. I went to Brian Green's wedding in Tampa in the early 90's. We also bumped into each other a couple of times at USF while he was pursuing his Master of Library Science. Last I spoke to him he was moving to Colorado, Denver, maybe. Hey, BAG. I heard Steve Estes was in the D.C Area. Tom "Hot Toes" Munnely was in the banking industry in Texas. I hooked up with Father Paul Edwards just after he left Columbus. I was in Ft. Lauderdale for my Master's commencement. He seemed to know a lot about old classmates. Paul, I think , told me Hector Perez was in Rome or the Vatican. All the '73 grads got together at Jody Caliguire's in late '70s. He owned a water slide in Broward County. I will be in Ft. Lauderdale at the Airport Marriott for Labor Day Weekend, attending the annual convention of the National Federation of the Blind of Florida, If any one would like to hook up on Friday or Saturday night. Have a busy schedule during the day, but always make time for old friends. I have an offering for "Reflections" which I will send later! I just found the SJV web site. Wonderful!!! I probably have a lot of the information you're seeking. I attended the sem from 1960-1966. Although the list indicates that I did not appear as a grad in the yearbook, that is only because there was no yearbook until 1965. In fact, I was on the staff of the Disciple in 1965 and 1966 but I only have the book for those years and for 1967. From 1959 to 1966 our class ( 12th grade in 1964) was, for several years, the largest freshman class to ever enter - 64 boys. The interesting stat from that: Not one student entering in 1960 came out in 1972 an ordained priest. Two students, Bill Elbert and Jim Vitucci later returned to the seminary and were subsequently ordained. I now live in Vermont with my wife of 30 years, Jane (O'Hara) . I could probably fill you in on quite a few of the guys and a bunch of history for the early years. It's ironic how I happened to find your site. I was reading a Patricia Cornwell novel (Black Notice) where she mentioned St. Brendan's High School. It got me wondering when St Brendan's became a HS or if Christopher Columbus changed its name to St. Brendan's or if some of the old seminary property changed hands. In those years the properties from 2900 to 2950 SW 87th Ave were St. John Vianney, Christopher Columbus and St Brendan parish and grammar school. By the way, I took the picture that heads the page for the faculty as well as many of the other photos you have included. Bill Hill, Alan Tesson and I were school photographers, at least until 1966. As I'm sure you remember, seminarians were not always as reverent as the laity might have thought. For instance when St Raphael's Chapel was built, the funds were donated by one of the largest benefactors to the seminary, MaryLou Maytag McHale (sp?). We made up a special song for the dedication sung to the tune of the old Nestle's theme song (you remember: N-e-s-t-l-e-s. Nestles makes the very best, Cho - colate). M-a-r-y-L-o-u. MaryLou has paid for you. Ra - Phael. Congratulations on the appearance and content of this site. It is really bringing back the memories and probably will help re-establish contact with many lost friends. Bravo for you, Ray Vaughan! Of course you may use the letter for the reflections page. I'm ok with a computer but far from an expert. I've mostly used my scanner as a copy machine but I be happy to give a try at scanning some yearbook pages and emailing them to you. Clearly you know a whole lot more than me about this kind of thing. If I run into problems, I ask you for help. Do you have the yearbooks for 65, 66, and 67? If you have some if them, tell me which pages so I won't duplicate what's already in your possession. My history with the sem actually runs from 59-67. I was in the first group of candidates the Serra Club brought to St. John's for the vocations day tour. I also was at St. Vincent's for one year and we continued to have events with the Minor. I particularly remember the touch football game between St. Vincent's and St. John's. Steve Tight, who was probably the best all around athlete in both schools, QB'ed and led both St John's our last year there and St Vincent's our first year there. Needless to say, he brought us to victory both years. I look forward to finding some of my lost friendships. I have been able to maintain so few. Dear Ray, I was a member of the freshman founding class of SJV. I remember well the first day of life in SJV. After the dedication by Archbishop Carroll, Our "building", from the outside, looked like a mirror to the two other buildings known as Christopher Columbus High School. If memory serves me correct, there was chain link fence between us and the high school ("not to keep us in but to keep them out" was the phrase used). I believe there were only two or three CM priests at this time for the forty or so students. The rector (pictured in your web page, whose name escapes me, Fr. Bradbury, and Fr. O'day). We attended classes at the high school, had our meals in their cafeteria, prayed in a small chapel and learned about the "Grand Silence". Indoor activities included a rec. room with one or two ping pong tables where Bill Hill and Vernon Langford were considered the "pros." I remember a basketball court but am not positive and to whether it was there from the beginning. On a personal note, I stayed a year and a half. My first year, even though, I was "homesick" a good part of the first term, was extremely gratifying and filled with happiness and love for God. My second year, I had trouble concentrating and left this fine institution. After my third year of High School (Archbishop Curley), I quit and entered the Navy (submarines). After the military I received my B.A. in Political Science and later attended Graduate School (Special Ed.) at U.of Fla. I never completed my M.A.. Over the years, I was in the Merchant Marine, worked also in the "toy navy" (yachts) and presently own a small business in S. Florida with my wife, who is from S. Korea. I have two grown children (Jay & Tina) from a earlier marriage. I hope your web site will continue to prosper and that I will hear from some of my old classmates. I entered St. John Vianney Minor Seminary in September of 1966, one of 38 students. Only one, I believe, of the original students was ever ordained. I left my class behind in 1970, only weeks from graduation. Since that time, I have missed all of my classmates - those who departed before me (the vast majority) and those who remained, howsoever briefly thereafter. I proudly served as your Class President during our Senior year, as well as the Mission Club President. I apoligize now to those classmates and junion classmates who I assigned to act as bell ringer or some such other menial "work list" task." Of even greater pride to me was the fact that you often called upon me to act as spokesman on your behalf to the Residence Directors. Oh, how they enjoyed hearing from me! I went on to graduate from Stetson University and Steson College of Law (1977) and have practiced law in Naples, Florida since that time. I am a Board Certified Criminal Trial Lawyer and a Board Certified Civil Trial Lawyer. I have served as President of the Collier County Bar Association and in many other professional capacities. I have been married for eighteen years to Catherine and have three beautiful children: Morgan Catherine (16), Austin Patrick (15) and Jordan Mackenzie (10). They are my greatest accomplishment. Many of you remember me for my Democratic beliefs. After I began making an income, and wishing to preserve it, I became a Republican! I was elected to the District School Board of Collier County in 1988 and re-elected in 1992, 1996 and 2000. I have served as its Chairman on four different occasions. I still fly planes, still play guitar and still love music. I apologize to my classmate, Michael Faulkner, for interrupting so many of his organ practices by making noises through the pipes beneath the chapel. And to those who confessed their sins to me, I can only suggest that you re-visit the confessional and repeat them - this time for credit. To Fathers Morris and Krieg, I can only say that I have never forgotten. To my classmates and those who followed, I would love to hear from you and to learn of your successes in life. You were all very important to me and you will always remain so. I still enjoy visiting the website and was moved to do so again when I heard recently from my former classmate, Steve Hill. I really wish that we could arrange a reunion of former seminarians and would encourage anyone so interested to email me. It would also be great if more visitors to the website would update their information and reflections. As for me, my eldest child, Morgan Catherine, will graduate high school in a few months with hope of attending William & Mary or Duke University. That will leave us with a 16 year old son and 11 year old daughter at home. I am planning on concluding my elective office with the District School Board of Collier County in November 2002, two years into the final term, so that I can spend more time with my family. They grow so quickly and 14 years of service has been more than enough. I was very moved after reading certain of the Reflection entries which brought back many wonderful memories (as well as a few sad ones). Please keep up the great work on this site. P.S. My own personal data should include that I was a student at SJV for 9, 10, 11 and most of 12th, but left to graduate at Bishop Verot High School in Fort Myers. The week before graduation Dobie (Bill Fisher) and I were studying Latin. He was in trouble. His ability to translate Latin left a little to be desired. Without a passing grade in Latin, he wouldn't graduate. We worked and worked and nothing seemed to help. Finally, we went to the library the night before the final and randomly picked a text from a whole wall of Latin books. I cracked the book open somewhere in the middle and we began to translate. After several hours, Dobie had successfully translated one page and we called it quits. God must have really wanted Dobie to graduate, the final exam was that very page!!! Congratulations! You've done an incredible job. No doubt your efforts to locate some of the former seminarians will reap tremendous rewards. We've talked of doing something like this for a long time, thank God someone like yourself had the time and energy to pursue the task. I remain in contact with a good many guys who attended SJV. I might suggest you also list those who arrived after their high school graduation and entered as 1st year collegians. Believe me, the more this circulates, the more response you will get. I will try and send you the names, addresses and telephone numbers of those with whom I remain in contact. Please list my address, telephone number and e-mail. Thanks, and God bless you! P.S. I might suggest you contact Msgr. Pablo Navarro, newly appointed pastor at St. Timothy's in Miami. He stays in touch with many former students from SJV. I graduated from SJV in 1969, from the junior college in 1971, got my BA from St Vincent de Paul in 73 and MDiv. in 76. I left the seminary without being ordained to the diaconate and found my way into teaching, first at St. Petersburg Catholic High School, then at Cardinal Newman H.S. for just one year. After about 15 years in the candy business, I went back to teaching at Pope John Paul High School in 1995. I married Eileen Hoffman in 1980 and have two children, Thomas Jr. (b. 1981) and Christopher (b. 1984). I have kept in close contact with Pablo Navarro and am still quite involved in my local parish (Holy Name of Jesus in West Palm). I'm happy to correspond with any of the old gang and would be interested in a reunion. This letter is such a long time coming not because you would have been expecting it, since you don't even know me, but because in my heart I have carried so many feelings and memories of my life at St John's for such a long time. My name is Jim Gioia and I grew up at SJV. A few years ago I sat down to look at my yearbooks as I occasionally do when I am feeling somewhat nostalgic or more often the case forgetful of who I was and where I 've been. This time was different than all the others. Instead of looking at all the familiar faces in the cursory manner to which I was accustomed, I looked into each face and felt them looking back at me. For the first time I made eye contact. What had been a one-dimensional collection of photos became living relationships. Some were flashes of vignettes; a memory of serving dinner to a collegian who actually thanked me for my effort, an image of someone running late for early morning mass, hair still wet, cassock unbuttoned, eyes puffy from disagreement with the morning hour. The early morning group skinny-dipping that cost me the senior class presidency. It seemed I could remember something specific about each face I saw. Many memories were more involved: deep conversations on a stairwell in the High School building, long walks around the campus road discussing doubts about our calling to a sympathetic ear (we were not supposed to discuss our doubts with anyone but our spiritual advisors); even longer walks by myself trying to sort through so many conflicting thoughts and feelings. In all, what I saw in my yearbooks was a group of boys trying to become men, men of the world and men of God. I knew much sooner than it took me to actually leave that I would never be a priest, but I stayed for two reasons. First were the many deep issues of a spiritual nature that I needed the time and space to deal with. This was the start of a journey that continues today. It was a great start! Secondly, I stayed because of my classmates. These were boys that had become brothers to me, family, and for whom I felt a deep kinship. Despite some very painful times, what I more clearly remember is the unbridled joy, silliness and laughter that made each day worth staying for. I see it so clearly in my own sons whose energy and joy has always been an inspiration to me; whose adolescent angst has made vivid, memories and feelings that had faded with time. I have gone on a little to long but I could go on much longer. What I really want to say is that I will never be without the lessons I first learned at SJV and continue to learn even now. Now for the data! After leaving SJV I graduated from Berkeley (yes, THAT Berkeley) having majored in psychology. I fell in love with California and an incredible woman, Lisa, to whom I have been happily married for twenty years. We have two sons, Kevin, 17, and Alex 14. Being their father fills me in a way that is like no other. We leave in Pleasanton CA which is in the San Francisco bay area. I went on to get my doctorate in psychology and have been a Psychologist in private practice for almost 20 years. I also do some counseling at our community college where I teach some Psychology courses. In the past year I have been working with the learning and physically disabled students at the college. In addition, I have been acting in local theater. I have even done two independent films, commercials, and just finished an avante- guard play about the life of Nietche in San Francisco. I played his anti -Semitic brother-in-law. A bit of a push since my wife is Jewish. The play was awful but I was great!! I have enjoyed reading the reflections of other alumni and would love to hear from anybody who would care to write. My e-mail is jgioia5410@aol.com. Thanks Ray for providing this forum! I am responding to your site since Dan Kroger contacted me by letter. I think it is very interesting to research all this so I thought I would let you know about myself. I went on to studies at St. Vincent de Paul Seminary in Boynton Beach and was ordained a priest for the Archdiocese of Miami in the class of 1977. I graduated from SJV when it was just a junior college in the class of 1971. Since my ordination I have been ministering in parishes and as a campus minister. However, since my ordination I have pursued an artistic career as well and have had an opportunity to pursue further studies in the field of fine arts. Presently I am a professor of the visual arts at St. Thomas University (formerly Biscayne College) where I teach drawing, painting, and art history as well as being the curator of the university gallery. My own work has been exhibited in cities like New York, Los Angeles and in states like New Mexico, Maine, Washington State and San Juan, Puerto Rico, as well as many galleries in the South Florida area. I am now working on a sculpture for the new Church of St. Agatha in Miami, and on a mural for the new Church of St. Clement in Plant City , Florida. I assist at Our Lady of the Lakes parish in Miami Lakes, Florida. My address is 3221 S.W. 20th Ct. Ft. Lauderdale, Florida 33312 and I have two email addresses which you can use; at the university jsardina@stu.edu or artbyjorge@yahoo.com. I just returned home from the Annual Meeting of the American College of Rheumatology in Philadelphia when I found a note from Dan Kroger about the SJV web page, and, well, here I am. The four years I spent at SJV (sophomore high-end of first year college) were among the most important in my life-I doubt that I would ever had mustered the discipline or strength to have gotten to this point without the example and nurturing I received from the priests and my fellow seminarians. Hardly a day goes by that I don't think of SJV. After leaving SJV in 1970, I attended Miami Dade Junior College, and then the University of Florida, whence I graduated in 1973. I graduated from Johns Hopkins Medical School in 1977, did an internal medicine residency at Jackson Memorial in Miami until 1980, and returned to Hopkins '80-'83 for a fellowship in rheumatology. I was on the Medicine faculty at the University of Alabama at Birmingham '83-'87, when I joined the faculty of the University of Texas-Houston Health Science Center. I am a Professor of Medicine at the same now. I very much enjoy my professional life, having just the right balance of basic research, clinical research and patient care. I am running three large studies funded by the National Institutes of Health, two examining the relative contribution of sociodemographic, behavioral/psychological, clinical, immunologic and genetic factors to outcome in lupus and in scleroderma and another study where I am conducting a study of the genetics of ankylosing spondylitis (which our pope has) at 11 medical centers around the US and Canada. The studies are going well, and as a result I am on the road frequently-my frequent flyer miles abound. The spanish I learned in the seminary has served me well-I am a frequent visitor to Mexico and South AMerica, especially Peru, where I have done a fair amount of research and traveling over the years. Since I have extensive collaborations in Asia and Europe, I am no stranger there also. I have maintained many of the friendships I made at Saint John Vianney up until now, and still value the interactions I still enjoy with Pablo Navarro, Leo Armbrust, Carlos Lopez and many others. My name is Rod Myerscough, Class of '72. I recently received a letter from Dan Kroger telling me about the web page. I thought I might update you about me. I have been married for 11 years and have one daughter, Claire Gantner Myerscough (my wife's name is Anita Gantner). We have been in Richfield, a small town just south of Cleveland and north of Akron, since 1990. After graduating from SJV I attended FSU, studied psychology, and graduated in 1976. I then went to Kent State University where I received a doctorate in psychology in 1984. I met my wife in graduate school and we eventually married in 1989. She is also a psychologist, works parttime, and does a yeoman's job of creating a home for Claire and I the rest of the week. I now work in the Dept. of Psychiatry at Akron City Hospital in Akron, Ohio where I specialize in Behavioral Medicine. The rest of my time is spent gardening, playing with Claire, and trying to keep up with the unending chores that go with a 60 yr old house. It's now Autumn so that means leaves to rake and gutters to clean before the snow flies! Except for occassional contact with Arthur Proulx, Andrew Frosch, and recently Leo Armbrust I have been out of the seminary-loop for many years. I remember meeting Robert Hogan at FSU. He was also studying psychology but was several classes ahead of me. I do not know where he is now but I suspect he is a psychologist. I was excited to receive Dan Kroger's letter and am very sad I was not aware of and was not at the 40th anniversary celebration. Please keep me in mind for any future gatherings. This is a very cool idea. Keep up the good work. I attended SJV for my Freshman year ( only ) , in 1965 . I , then , completed high school - next door - at Columbus ; and graduated in 1968 . I am now age 51 . I devoted nearly 22 years defending our country , in the U.S. Air Force . Since my " retirement " in 1992 , I have become more active within the Church . I am a lector , a lay associate member of the Marian Movement of Priests , and prayer groups member . I made a Cursillo Weekend in 1977 . ( I was blessed to have a proper Catholic formation ; by my parents , Catholic grade school , one year in the " sem " , and three years at Columbus ) ! Ray , if you need any additional personal info for your data base ... just ask . William "Bill" Johnston here. Class of 1971. Attended 9th,10th and 11th grades at SJV. Left just prior to senior year to attend and graduate from Christopher Columbus High. Attended Biscayne College (now St. Thomas University). Currently living in Port St. Lucie, Fl. with my wife of 10 years Kathy. We have three children. My oldest son William (28) from my first marriage, Kathy's daughter Angela (18) from her first marriage, and our son together Anthony (8). I work for Graybar Electric Company in Ft Pierce, and have been involved in the electrical industry since 1975 either with distribution companies selling or contractors installing equipment. I still keep my Miami Dade County journeyman electrician's license in good standing and active. I have continued to work and play as a musician (drums) throughout all these years although not as active since our move from Miami seven years ago. This area is country and I'm still a jazz musician at heart! Dan Kroger turned me on to the website, as I see him over the Holidays and when I help out his music ministry. I'll try to update any new info on classmates as able. Charlie Krieg alerted me to your site. Very well done and a real blast from the past. I taught at Boyton from 67-71 so I recognized a lot of names. I was sent your URL because Fr. John is pastor at my parish: St. Mary of the Mission, 1000 4th Ave, Opelika AL (parish phone 334-749-8359).... and he's on your photos page. This is fun! I also know Marty McGeough, Henry Bradbury and Mike Kennedy who were all pastors at St. Michael's in Auburn in the past. Of course, they were a bit older when I met them (Kennedy and Bradbury) than they are in your photo. I was a member of the class of 1965. My visit to the website was certainly a trip down memory lane for me. 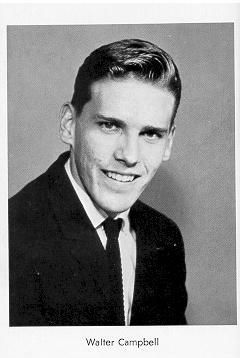 I see you have a number of questions about the early days, and as I began my freshman high school year in Setpember of 1961, I may be able to answer some of those questions. I'll try to put something together about the early years and send it along. If you have any specific questions, feel free to ask. I did notice a couple of errors in the class listing for my class (1965). You have a Wesley Johnson and an Adrian Johnson listed. These are actually the same person. His name was Adrian Wesley Johnson, but he went by Wesley. Also, there is a Simpson Richard and a Richard Simpson listed. Again, these are the same person. It was actually Richard Simpson. I graduated from junior college there in 1967 and went on to St. Vincent's after that, but only for a year or so. So, having spent a full six years there, I might be able to answer some of your questions, particularly about the early years. I was there pretty much all through the construction years (the gym was built the year after I left). If you do email me I would prefer you use my home email address fhocker@aol.com. The one this comes from is my work address, so if you respond, please do so back to the AOL address. [next] I have , again , recalled the names of more classmates of my Freshman ( 1965 ) year at SJV . ( You do not have these names recorded in your web site ). The names are : Bill or William Birch , and Charles Durden . [next] I have recalled , still more , names of classmates who attended SJV Freshman year of 1965 . The names are: Hudson Stern ( an uncommon first name ) , and Michael Brady . I can also " see " in my mind a chap with a first name of Keith ; but I cannot , now , recall his last name ... ( Fr. Reilly was rather fond of Keith - or Keither , as Father called him ) . I hope that you made full use of Divine Mercy Sunday , yesterday - I did ! If you are familiar with the several recent (approved) Marian Apparitions , and / or Medjugorje Marian Messages we are rapidly approaching the time of Our Lord's Second Coming . I am only too pleased to send you my "thoughts." But, after 30 years of them I think of the many good friends I made at SJV and thank God for the two years, after graduating from Chaminde, that I had there! Many of us who are ordained now give credit to Vincentians priests and, to our mutual friendship, for the fact that we are priests today and, still in touch with those who went on to do other, beneficial things with their lives. The Lord has called some of them to Himself, including His priests and they are sorely missed but, I am the better for it. Lord, did we have some good times, some hard times and some perplexing times but, we grew up all in all. I always hope that SJV stays open! It did what it was suppose to do train men to go on to the Major Seminary or move on with their lives. The fact that so many of us are still in touch with one another gives rise to the fact that we prayed together so that we might stay together. For the first time in years I've found out where some of the others have been. Keep it up and God bless. On May 11, 2001 I registered as a full user at Classmates.com, where some of our friends had already registered. I was then able to send a message to everyone also registered at Classmates. Some of the Reflections below are a result of this contact. Thanks so much for contacting me via email. I check out the sight and you are doing a wonderful job of getting it up and running. To update your information, I did graduate the Class of '73, went to Saint Meinrad Archabbey College from 1973 to 1977, graduated from there, moved to the Washington, DC area from 1978 through 1984 employed with Mutual of Omaha Insurance Company before returning to Florida. Remaining in the health benefits job market, I began making private retreats during the years 1991-1992 and in the spring on 1993 joined the Benedictine Monastic Community at Saint Leo Abbey, near Tampa, Florida where I have remained ever since, professing my Solemn Vows in 1997. Today I am the Subprior (3rd in charge of Abbey business), as well as the Benefits Administrator for the community, liturgy coordinator with various other tasks thrown in for good measure. We are a semi-cloistered community, located next door to Saint Leo University. My email address is Br.Gabriel@saintleo.edu (yes you change your name when you enter a monastery) so I have been Gabriel ever since--you can imagine the jokes I get around Christmas time with all the Scripture about the Angel Gabriel. Keep up the good work and thanks for contacting me. With the others' reflections I will now be able to contact them as well. May God continue to bless you in your efforts to keep the Saint John Alumni in touch. Thanks again. Brother Gabriel, OSB (Steven Estes). Just a quick note. As I browse your wonderful web site for SJV, I notice that you indicate "the original faculty" and include a picture. I know that Frs. Gaulin, Buckley, Trunk, John McDonnell and Michael Farren were not original faculty: each of them (except perhaps for Fr. Trunk) arrived in 1962; Fr. Trunk came a year or two prior. In your Photo section, you will note that a newspaper headline notes that the original faculty was five, not 13 as indicated in the picture. 1. We frequently used the abbreviation SWAU as shorthand for Schedule was as usual. 2. If you look at the entry for the Feast of St. Blaze (Feb. 2 or so?) in about 19 65 or 66, you will find the oxymoronic entry to the effect that all seminarians had their throats blessed and that there were 10 or 20 new cases of strep throat diagnosed that same day! Good to hear from you! I'm glad someone has undertaken to do this. I was obviously curious as to what happened to everyone since I registered on Classmates. I actually did not graduate from SJV, dropping out during Winter vacation of my Senior year of HS. I'll have to digest this. And explore it at work at a faster speed. I have some old pics from school around. I'll have to scan some and send them in. Michael, Vincent, Joseph, Patrick, Brian Daniel, Thomas Ferrin, CM. He admitted to us at one point that all those names were his siblings. The were not all his given names. I'm in Roswell GA (suburb of Atlanta) and work for G.E. in the Global Exchange Services (formerly GEIS) section. I am a Project Manager/ Programmer. Thanks for the tip on the web site. I haven't heard from anyone for 25 years. It will be fun to catch-up. You had reached me via classmates.com I believe. I have been in touch with Bob Christman & Carlos Miyares awhile back. I returned to my birth name shortly after leaving the seminary which is why you might not place me. During my years at SJV I went under the surname of Marcellus, my step-father's surname. I was in the class of '71. I currently live in England and will be moving to Scotland shortly. I own my own publishing company. I opened your e-mail Sunday morning and was pleasantly surprised. I spent about an hour and a half going through the SJV website and had a lot of wonderful memories return that I had forgotten. I will try to sit down in the next week or two and write something for the Reflections page. I left Atlanta in 1996 and am now in Wilmington, NC. I can be reached at 910-762-5426. You have my home e-mail address and my work e-mail address is william.emery@wilm.ppdi.com. Just got word of your site. I graduated from SJV High School in 1967, started my first year of College and then joined the Marine Corps 1967-1971. I then went to U of Florida and U of South Florida. In 1977, I joined the Navy and retired in 1993. I am a CRNA (Nurse Anesthetist) and after living in Orlando from 1993-2000, my wife of 27 years, Linda and I moved up to Panama City Florida. We have two children, Brian Patrick (24) and Erin Kelly (22) both just graduated from FSU. My E Mail Address is RogerCRNA@aol.com. I have more info on others which I will send to you at a later time. Thanks again for starting this site....It was much needed. Wonderful web site. Keep up your efforts. I lost track of most of my classmates in the seventies when I moved back to California. I am alive and well, living in the Palm Springs area (Indio) and have worked for a aquaculture (fish farming) company as a biologist (fish physiology) for the last fifteen years. Married for the second time in 1998. First marriage was from 1974 til 1993 (no children). Lived in San Diego from 1987 til 2000. Just transferred out to my company's (Kent SeaTech Corporation) production facility in January of 2001. After SJV spent three years in Maryland working as a bookbinder. Moved back to California in 1973, and went back to college. After an AA degree, transferred to University of California at Davis and earned a BS in Animal Physiology in 1977. Stayed on for graduate work in the Department of Wildlife and Fisheries Biology. I was in the Physiology Graduate group and earned a MS in comparative animal physiology. Finished about 90% of a PhD program in the same subject until I got a job offer and moved on to the real world of food production (fish) in 1987. My friends can reach me at either of two e-mail addresses. My home e-mail account is SDsharkman@aol.com and my work e-mail is sjmitch@cts.com. FYI my DOB is 11-10-51, which makes me 50 in November of this year. Here is a little bio I put together for Steve Mitchell. You may want to include it in the Reflections pages along with my home Email address, DougAndrea@AOL.com and my work Email address, AndreaD@MoslerInc.com. I finished High School at Hialeah High (3 classes) and attended Broward Jr. College for a year, majoring in Electronic Technology. I joined a Rock Band and dropped out of just about everything else for a while. When I came to my senses, and after working in the Offset Printing business for a couple of years, I took a job as a Service Technician in Miami with Diebold, Inc., a World-Wide Banking Equipment company. I also married a girl I met on a blind date. After 5 years there, and a couple of promotions later, I went back to work for my Dad. I opened two new Auto Radio repair stores for him in Akron and Youngstown, Ohio. After about a year, I bought him out (in Ohio) and had a pretty good business going for another 4 years, then came my 1st divorce. Let me just say, I closed the business down and moved back to Miami. I also had a small trucking company going on the side which I also closed, and went back to work for Diebold. After about another 5 years, a competitor, Sentry Bank Building Company, hired me away to organize their Service & Installation Departments. We were doing pretty well. This is when I married for the 2nd time, to a girl I met while I was playing music in a Country & Western Band at a nice lounge. Then after about a year and a half, I was recruited by another competitor, Mosler, Inc. I went to work with Mosler as a Technical Support Specialist, then they transferred me to Hamilton, Ohio (just north of Cincinnati) to head up all National Installation Projects, just the big ones with all the problems! This is where I am today. This transfer is now why I am on my 3rd wife! I am traveling to Miami tomorrow and hope to stop by old St. John's and take some more current pictures. I may also get some current pictures of some of the old classmates as well. I will see what I can get. It's been over a year since I last wrote you in a flurry of activity generated by the excitement in finding this web site. Since I mailed you in August of 2000 several lost friends have contacted me, most notably (because he was someone from whom I'd heard nothing since leaving in 1966) Charles Larkin. Good to hear from Sir Charles (Charleslarkin2@aol.com). If any one has been in contact with David Gregory "Greg" Gorman please let me know to get in touch. I know he is a physician and I know he went off to California to do a Psych fellowship about 13 years ago because he woke me up at 2:30AM to chat. Sites like this, Ray, have the eerie and paradoxical quality of, on the one hand, causing us to desperately want to freeze time, while on the other hand, propelling us to seek out and consume every morsel of fresh information we can gather about our old friends. Terrific! This should help in getting reaquainted with my friends. Unfortunately I don't have any photos of these exceptionally formative years which molded me in to the man I am today. Since 1966 I have been working in the international insurance market place and held overseas assignments in ASIA, Japan and Latin America. I work for AIG (American Internatinal Group) at 70 Pine Street NY with responsiblites for Latin America. I am married and have two sons, Christopher is in his second year of Medical School at Northwestern University- Chicago and Gregory is finishing his senior year in Information Technology at Drexel University in Philadelahia. Both attended and graduated from Christopher Columbus High as I did as part of my training at SJV. What a great tradition and hope their children have the opportunity to do the same. As I come in contact with some of the students of SJV and St Vicent De Paul-Boynton Beach (I completed my 2 years in Philosophy and graduated in 1964) I will pass this info over to Dan Kroger. I cherrish the training and memories at SJV dearly and proud to be part of the first group to attend the school when it opened its doors in 1959. It's amazing how structured and organized everthing was from day one. Hard work but a lot of fun at the same time. Some sad news to share with all you... Rev. 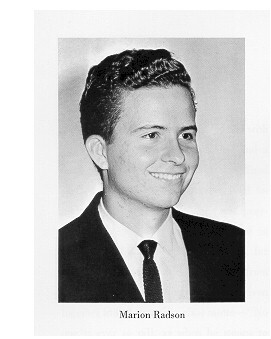 James Vincent Vitucci, SJV class of 1964, passed away on Jan 3, 2002 after a long illness. If anyone would like to say a few words about Jim, please send me an e-mail and I'll post it on the web site. My name is Stephen P.Hill. I attended SJV from 1966 through 1969, Junior Year and Graduated at Hialeah High in 1970. I have been married since 1973 to Brenda Blizzard from Hialeah. Steve Staudemeyer counseled my wife and I before our wedding at St. John The Apostle in Hialeah and Paul Zimmerman (2 grades above me) played the organ for us. I have one Daughter, Stephanie who will be 25 years old this May. She wants to be a Christian Missionary overseas. She is dedicated with her voluntary work at Calvary Chapel off Cypress Creek Road in Fort Lauderdale and works full time as an account manager at MNMB in Boca. I work with my Family's Aircraft Instrument Overhaul Shop and General Aviation repairs at Fort Lauderdale-Hollywood Int'l Airport called Hill Air Company/Hill Air Instruments, Inc. I am involved in National and International Marketing supplying Aerospace Services, parts, accessories etc.. for our Navy and Air Force as well for Dyn-Corp at Patrick Air Force Base, Florida. We also are supplying support for the Turkish Embassy, Procurement Division of the Turkish Air Force, Navy, Army and now Coast Guard in Washington. Our other Clients are in China, The Netherlands, Malaysia and Italy. I was in contact with Larry Duemmling ( in Leo's class) up to about 4 years ago. He mentioned he may be moving to Atlanta. I also met with Dennis Silverberg and Walter Cornell around 5 years ago. Both were in my class at SJV. Denny is an assistant Warden for a Prison System in Chicago and Walter, per Leo, has recently become the Boynton Beach High School Principal. I also met with Walter Burkhart, also in my class, who has a Veterinary Business in Coral Springs called ABRACADABRA Veterinary off Wiles Road. I saw him around 6 years ago. Bob Chaner (in my class), I believe, lives in Plantation and his brother Richard Chaner (several classes below) is still in his Father's Appliance Business called Chaner Appliance in Ft. Lauderdale. Well, I am sorry to learn last night that Kenneth Louie passed away some time ago. I saw him back in 1978 when he was just beginning his Dentistry Practice at Shands Hospital in Gainesville. He attended St. John the Apostle Catholic School with me in Hialeah. I can probably go on and on with the guys I have seen since leaving SJV but you may already have the info. Yes Ray, go ahead with the Reflections page. I hope others will advise as well. It is really nice to be able to think back and reflect on the most important days of our teachings. I will always cherish SJV even though I did not go through with the Priesthood it is still a BIG part of my life...forever! My name is Paul Konsavage and I graduated from SJV in 1967 and 1969. I happened across your site while looking up the Congregation of the Missions. I must say that your site brings back many memories and it is truly a phenomenal piece of work. The memories of my years at St. Johns always are fondly remembered. Working in the infirmary with Roger Gallagher, scrounging for stage props with Ed Ruane, driving the bus, sports and all the other experiences were rekindled when I found your site. I enjoyed touring the site and seeing Jim Blachura's and Fr. Buckley's photos. Greg Gorman, class of 64. I was in from 60 to 67, 1 yr at St Vincent de Paul. Been a doctor in New Mexico for 28 yrs, now retired to Seattle with grandchildren. Paul McHugh (class 68) is my good friend, and he and his wife are visiting today. Chris Wright (class 64) died unexpectedly on 11/13/03. I've written to Fr. Bradbury, telling him that his biology classes provided the background for my medical school training. Hi!!! I'm Oscar Canizares. My son was looking for the name and what a good surprise to have news of the group. Believe it or not it was a wonderful time. For 12 years I was studying to be a Jesuit . Leaving the seminary. I went to Spain, DR, Venezuela, Ecuador and Canada. I was in the Society until just two months before ordination. Two years later I married a Dominican girl . At the present moment we have three ""kids", Oscar (28), Miguel (27) and Olga (24). Hopefully I will be a grandfather in December. I'm working in informal education. My wife and myself have a tour company specialized in ecotourism and educational tourism. We work with different schools, universities (Dominicans and from aboard). If anyone is planning to come to the DR maybe is good to know that you a have a friend . My phones are (809) 583-3121 Office, (809) 736-8623, cell. (809) 5224-3043, fax (809) 581-4524 and the email: campingtours@internet.net.do. Our address in the DR is Calle 9 # 3A., Reparto Kokette, Santiago de los Caballeros. I would like to hear from Mark, Don, Voyer, Flanegan, Makoid and the rest. Thanks for taking your time to put the page together. I found your site about a year ago and have been meaning to write you. 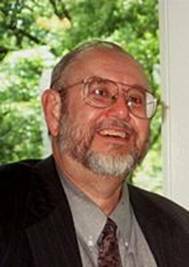 I am Bill Squires 64-68 and am currently a professor of biology at Texas Lutheran Univ. I have been here for the last twenty five years. I still have my biology term paper from Father Bradbury's class on messenger RNA with a C- on the front (I was glad to get it) please pass on my email. I recently was referred to your site by classmates Bill Flanagan and my brother Gerry Grogan. I see Bill has contributed. Gerry is a retired US Navy Chaplain living in San Diego. I retired from the FBI after a 32 year career as a Special Agent. I am now the southeast Region Security Manager for Philip Morris USA and live in Coral Springs, Fl. with my wife Pat of 33 years. When I reflect back, I find it hard to believe that Fr Buckley et al "turned a blind eye" to our practice of hitting golf balls and baseballs through the refectory windows. What a memorable walk we had that Saturday to the Westchester Shopping Center while the carnival was in town. I recall paying the man in the enclosed tent a quarter to touch his 67 lb foot on a bet from Steve Tight and Pat White. My memories of everyone at St John will always be special. I play hearts once a month with alumni Gary Graziani, Dan Schevis, Roger Holoubek (pastor of St Maurice), Jack Wilcosky, and Tom Fitzpatrick. I was playing hearts with several of these guys at St. John's in a sneak-away room we called the "kazbar" on 11/22/63. I occasionally have contact with Freddie Maas who is now the Chief of Police at Sunny Isles. Wow! This is really a fantastic find. Bill Flanagan called me last night and told me about it. I am Bill "Dobie" Fisher -Class of '63 and '65. I am Principal of Cape Cod Regional Technical High School in Harwich (Cape Cod, MA). (That will probably be a shock to many of my old classmates) I have been in voc. tech education for the past 28 years. I am happily married to Kathy McLeavey, my wife of 32 years. I have two children, Nora who is 27 and in real estate here on the Cape and EJ (Edward-John) who is 20 and a junior at NYU Tisch School of the Arts in New York- studying Video/music production. It has been fascinating to read the "reflections" from so many classmates from so long ago. I will not tell many stories in this writing but believe me - I have many stories to tell of those early years-as does Bill F. Gerry and Mike G.( some are a bit "unholy" but will be enjoyed.) I have pictures and even in my 8mm archives- movies of many of the early events. I was saddened to learn of the passing of Jim V, Jim K and Chris W. Jim V. lived in the same town I did-Hollywood. They were all good people. We will miss them. I was really taken back when I saw some of Chris W's pictures. I saw myself in the "passion play" in my first acting role as the high priest Chiaphas (spelling) -its been a few years. It was great to read the comments from Rick Perez - nice guy-classy and glad to see he has been very successful. I guess I should correct a bit of "midrash" from Mike Macoid - languages were my strong suite - I was horrible in Math- so I think we are dealing with some faulty memory or just good fun in Mike's comments. I did like to wait till the last minute to prep for tests and papers - so Mike and I probably did study together. I talk to Bill F. often and Gerry G. as well. I really appreciate you doing this. It is a real "hoot". I will get my "stuff" together and start "installments" after checking with my editors Bill F. and Gerry G. I would love to find out about what Steve Tight is doing and where he is as well as Jim Healy (Mother) from our '63 class. One tidbit- Pat White('64 and '66) was nicknamed "meat hooks" for his huge hands that made him a terrific tight end in football and never missed a pass from Steve Tight. Well that's all for now. Keep up the great work. So more great memories are on the way. Please keep checking back here. And please do like Bill did and start looking for memories. You've got a whole bunch of your classmates waiting to see what you've been stashing away for years. Keep up the good work! I still check this site from time to time for news on SJV alumni. Practicing pulmonary & critical care medicine in Hilton Head, S.C. Thank you for all the work you have done for the SJV wed-site. I just came across it, for the first time in a long while. You have done a great deal of good work! Thank you! 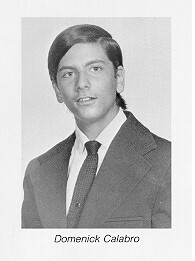 I am Pablo A. Navarro, from the High School Class of 1969 (Many moons ago!). For the last two years I have been serving at St. John Neumann Parish in Kendall (Miami). I was transferred here after two years in St. Timothy in Miami. This is my fifth assignment since my ordination in 1978. A couple of classmates, Hugh Behan, Carlos Lopez, and I got together a few days ago. They got me back in track with the site. I saw the web page of ST. John Vianney and it brought back wonderful memories. I see, however, that you are missing names of some students that also attended, such as my own. Do you have any current information on Fr. Vincent Trunk or Father Gaulin? I would have graduated in 1966. I was in the same class as Walter Campbell. If I remember correctly, there were 55 of us when we began at the Seminary. I can still remember the first night, after we had checked in and were called for prayers. The chapel was in the old Administration building (the college building and new chapel had not been built). We were all crammed in, including the philosophers (I believe John Nevins was in his first philosophy year as well as Steve Staundenmeyer (who later taught at ST. Brendan's High) and others). I was very impressed for they wore their cassocks and collars at all times. There was also the first Cuban in the philosophy class, Pedro Gonzalez (if I remember his name well). Our dormitory was in the building that was "on loan" from Columbus and is now part of Columbus. Father Frederick Gaulin was in charge of the building (Father Reilly) was also there. There was a big dormitory on the second floor with bunk beds. I slept in the upper bunk and Charles Ballina (I think) was in the lower bunk. This was for freshmen and sophomores. I had to share my locker that first week with Armando Diaz as he had no locker. I left the seminary in 1965 and went to La Salle High School where I graduated from High School. Continued on to the University of Miami. I wanted to teach Philosophy but then went into Banking. I will send you some more info later on this week. I am going to be out of town for a couple of days, back on Friday. I recently wrote to Fr. John Buckley and it was a real pleasure hearing from him again. This was after I visited the seminary's web page that you put together. Great job. It is so good to hear you refer to the "early years". These were the times of growth, from childhood to manhood and it is such a great thing to remember all these past moments. Kind of trained us for the rest of our lives, to make better men from all of us. Brings sad memories also, like learning that Tom Ways passed away. He was such a great friend. There was also Facundo Muniz, who started at the same time as I did and who died in his sophomore year! He wanted to be a priest more than anything in his live and yet, he was called before all of us. I had the privilege of having an hour during the morning as a study period (as I was not required to attend one of the classes offered). I would use that period (I think it was around 11:00 A.M.) to catch up with work, etc. I remember once that the whole seminary was stirred up and all classes were dismissed. We were required to immediately go to the Chapel for prayers. Everything seemed somber and gloomy. Nobody was speaking. You could sense that there was something wrong. Turned up that President Kennedy had been shot and nobody knew what was happening besides that. It was just past 5:30 in the morning when Monsignor Pablo Navarro managed to sit down for a few minutes' respite after an all-night marathon. Hungry, he helped himself to sweet rolls and coffee at the Morningside house he shared with Archbishop Edward McCarthy and began reviewing the last-minute details of Pope John Paul's Mass. As the archbishop's personal assistant, Navarro was one of four priests coordinating the visit. Out of the corner of his eye, he spotted a shadow entering the room. When he looked up, he realized it was the pope looking for breakfast. Navarro was stunned. He wasn't prepared, having been told the pontiff would take breakfast in his room. He grabbed his plate and got ready to leave. ''No, no, stay, please,'' Pope John Paul II told Navarro. Navarro did. For 35 minutes, the Cuban-born, Miami-raised priest answered the pope's questions about South Florida. He was particularly interested in how authorities treated immigrants and their customs and traditions. The pope ate heartily: eggs and sausage, sweet rolls and a mango from the archbishop's tree. He spoke first in English, and then, discovering that Navarro also spoke Spanish, switched. After breakfast, he returned to his room to pray. He was not without humor, either. On his ride from the airport to the archbishop's house, for instance, crowds milling along the parade route on Biscayne Boulevard held up signs in Polish. This surprised Archbishop McCarthy, who commented that he didn't realize there were so many Poles among the local faithful. In 1987, John Paul II was a robust, energetic man. The night before celebrating Mass at Tamiami Park, following a dinner with the bishops of Florida, he was happily singing Polish mountain songs played by a harpist. ''His personal secretary kept motioning for him to go to bed, but he just ignored it,'' Navarro said. Stumbled on this website, brings back great memories. I'm from the class of '72, as you can see I manage the Seminole County, Fl. Emergency Communications/E911 Division. 4 kids and always looking for the next ex-Mrs. Holt. (currently not married) Thanks for the memories! Well this is fantastic! I stumbled on this site and can't tell you how much I have enjoyed going through it. I am a school counselor in Naples, Florida. I have been married for 30 years and have 2 children. My e-mail address is hsn1850 (at) msn (dot) com . I have attached a picture of me and my family with our son-in-law on a trip we took to Hawaii last summer (left to right my son, David, my daughter Renee, my son-in-law Tim, Margaret my wife and me.) Please share with any and all who might be interested. PS. Any prayers for my son-in-law will be appreciated as he is in Iraq as I write this letter. Thanks for hosting this website. I attended SJV for my Junior & Senior years of high school. I was studying for the Diocese of Orlando. I graduated SJV in 1970. My first two years of college were at St. Meinrad Seminary in Indiana. My final two years of college were at the University of Central Florida. In 1974 I married Nancy Treat. We are still married (31 years today) and we have three daughters. For the past 23 years I have worked for the Aviation Authority in Orlando. I am presently the Airport Director of Orlando Executive Airport, a position that I have held since 1992. I guess I’ll make a career of it. I found this website following the death of Fr. Jorge Sardinas last fall. He was I couple years ahead of me at SJV, but I remember him. I am active in the St. Meinrad Alumni Association and presently serve on the Alumni Board of Directors. I would like to work with you on establishing an SJV Alumni Association. Feel free to post my personal information on the website. My address is: 2 Cinnamon Drive, Orlando, Florida 32825. My Email is: cinnamac (at thing) bellsouth (dot thing) net and my home phone is: 407-273-4604. This is a follow up to my last entry. I am currently an attorney practicing law in Los Angeles, CA. I represent victims of various types of home equity fraud; financial elder abuse and actions against slumlords. I just settled a case against the Archdiocese of Los Angeles where I was representing an 11 yr old boy who was molested by a lay teacher at an elementary school run by the Archdiocese. I have been in private practice for 7 yrs and was a legal aid attorney for all of my legal career before that. Enjoyed a stroll down memory lane with your web site. I am Al Plourde Class of 68. I left halfway through our senior year and went on to Msgr Edward Pace HS with Henry Norona. I went on to the University of Florida but was drafted in late 1970. That “short” stint in the military ended up a 24 year career in both the Navy and the Air Force. I retired as a Major in the USAF Medical Service Corps in February 1995. My military career included enlisted time as an electronics technician in the Navy Security Group, and officer in the Navy Civil Engineers Corp (Seabees) after graduating in electrical engineering from Auburn (War Eagle!!) and then in to the Medical Service Corps in the Air Force where my last position included Consultant to USAF Surgeon General for Clinical Technology. Along the way I picked up my Masters in Biomedical Engineering and Healthcare Administration from the University of Miami. At Pace I met my wife of 36 years, Kathy. We have two grown sons and two grandchildren. Since leaving retiring in 1995 we moved to Nashville, TN where I took employment for Columbia HCA as the Director for Clinical Engineering. Last year I “retired” my position as Regional Director for Sodexho Clinical Technology Management overseeing the southern half of the country to become the national recruiter for the company. (Little travel, no customers, no employees, no stress). A few weeks ago I was surprise to find that Vernon Cassell had moved within 20 miles of here and we’ve been catching up with almost 40 years of memories. We’re back to doing music together. My 3-1/2 years at SJVMS were a special time during which it was impossible to understand the special nature of the experience. My best memories are of the band with Vernon, Greg Blue, Jim Blachura, and several others. The experiences of Youth Hall and other places will always be with me. It’s hard to believe most of us are or are pushing the 60 mark. I think a reunion is necessary if only to update the white-shirted, black-tied mental image I retain for many. I look forward to hearing from everyone. Haven't touched bases in many years-I was working on a letter to the Dean of our Medical School fighting for more space and administrative support this evening when my med school roommate called me out of the blue-my mind wandered back to this site. I became chief of Rheumatology here at UT in early '02. Despite tight NIH funding due to the war and other things we continue to do very well. My own life is great-too much work and way too much travel, but it remains fun. Had dinner with Brian Huot about two years ago when he was at a conference in Houston. He is now a Professor of English Literature at Kent State. Pablo Navarro, Leo Armbrust and Carlos Lopez remain in touch with me (we are approaching our 40th high school graduation anniversary and SHOULD plan something-the problem with waiting for 50th anniversaries is that too many don't make it to them). I saw Bill Squires' brother, who works for Genentech, last year and he told me Bill continues to do well and distinguish himself in his academic career. I have tried to e-mail Steve Mitchell numerous times at the e-mail address on your site and they keep bouncing back-Steve, if you are checking this I would love to hear from you. I also communicate with both Frs. Buckley and Krieg and hope to see them before too long-just got a letter from Fr. Buckley a few weeks ago and Fr. Krieg last December. I’m Larry Voyer from 1963 SJV class. Good job! I left SJV to attend the 1964 Fall Semester at the University of Florida (2007 National football AND basketball champs J). Received my degree in Electrical Engineering followed with a Master’s in Engineering. Married for 20 years with two grown boys and a grandson. Worked as a professional photographer for awhile. I currently live in Louisville, KY and work as a contract Embedded Software Engineer. I’m a member of Mensa. As one of those “outside the clique” my remembrances are probably a lot less positive than the one posted above but there are a lot of memories of good times and good friends. I have, many times, wondered what happened to many of the old crew and your site has provided a lot of answers. It has also brought to mind friends sadly forgotten. We’re all “old timers” now; but SJV played a large role in the men we’ve grown to be. + The “king of the Hill” battle on the dirt pile in back of the college building (from the pool?). The showers drains ran black with mud that night. + I was given the title “art director” which meant that I had to make the name tags for all the rooms in the college building Guys went for months with a name tag on their room. I did a water color of Lincoln for the “Twelve Angry Men” play. + Everyone wanted Father Bradbury on their team. It’s funny what comes up after over 40 years..
Ed (Gene) Clark attended SJV from 62-65 and would have graduated in 66. He left when his family moved from Florida and back to Kansas. He went on to do his Bachelors, Masters and Law degree in Kansas and practiced with Foulston, Siefkin, the largest firm in Kansas. He then migrated to Australia where he did another Masters and PhD and was a professor at University of Tasmania Law Faculty and Head of the Law School and then Pro Vice-Chancellor at the University if Canberra where he remains an Emeritus Professor. He later served as Executive Dean of the Division of Law, Business and Arts at Charles Darwin University before taking up his present position as Dean of the Charlotte School of Law. Clark is the author, co-author or editor of twenty books, primarily in the area of commercial law and sits on the Editorial Boards of several international journals. In 1997 he was one of two law professors chosen in Australia’s first National Teaching Excellence Awards. Clark has also been active in both State and National law associations. Married for 36 years, he and his wife Pat have two daughters, Remy and Lisa, who are finishing their undergraduate degrees, respectively in business and elementary education. I greatly enjoyed my educational experience at SJV and made many friends there. Fr Riley in Latin and Fr Bradbury in biology were two of the finest teachers I have ever had. The academic rigor of the program provided an excellent foundation for my future studies and career. I am especially grateful to Dennis Long and his family and Charles Meschick (sp?) and his family for weekends spent with them when my family had moved away from Florida to Kansas. Adam Thielen (66) and I also attended the same primary school, St Stephens in Florida. From my class: William Hoeffner, Joseph Kappes, Harold Left, Paul Noel, Skip Campbell, Stephen Prawdzik, Patrick Ryan, Gerald Verzall, Thomas Way (good table tennis player), Jose Fuentes, Chris Crowley, Charlie Meschick (sp), Robert Foster, McGee—I remember very well and several others of course from other years. I enjoyed your website. I was at St. John Vianney Minor Seminary from 1961 to 1967. The photos look the same as when I was there. Unusual for South Florida. Ray I was looking at the site and did not find my name in the class of 1964. I graduated from SJV My name is William M Lupo and I live in Tampa Fl. I know that you have my info as you have my email address from previous conversations. I have the year book from that year and have been in contact with some of the guys. Fr Jim Vitucci was a good friend for many years until his death a few years back. I still keep in contact with Fr Andy Anderson who is in Miami. Hope you can get this corrected. My name should appear after Jack Leipert. Thanks for the work that you are doing on the site it is great to see what happened to so many of the guys that I knew so many years ago. I wanted to eMail you and update my information in the Students list. I am now 56 years young. I attended St. John Vianney in 9th, 10th and 11th Grades. I graduated from Hialeah High School in 1969. I attended Broward Junior College (before it was BCC). I currently work as a Senior Technical Support Specialist for Diebold Inc. and live in in Akron, Ohio. I have a Son, a Daughter and 5 Grand Children. I love the site that you keep for St. John's. It calms my heart when I visit the site and reminisce on my years as a Seminarian. I wish all my fellow classmates would learn of this site and keep us updated on their lives. It is with great sadness as I read about the loss of my dear friend and classmate, Jorge Angel Sardinas. I visited the Seminary and Jorge at his home during the Summer of 2000. He had beautiful murals that he had painted on the walls of his home, I am sure lost as well to the fire. He will be sorely missed by all of us that knew him. I do have some pictures from my visit to send you. I pray for you, Ray and I pray that this site will last for many, many years to come. I was in the Class of 1970 - Terry Hogan and I were in the same class. I am married (28 years in August 2008) with two boys, one 24 and the other 19. The 24 year old, JB, served in the 3rd Infantry Division and was part of the Iraq invasion. He served two tours and got home safely. My younger son, Tyler, is a senior at Belhaven College, in Jackson, MS. He will graduate in May 2008 with a major in Theater Ministry. I work for the Internal Revenue Service and will be eligible for retirement in May after 33 years. I was in field collections, a group manager and now work for the Headquarters office as a senior program analyst. I live in Dover, Delaware on a formerly Amish farmstead. My wife, Maggie, and I own a business called Bright Ideas Press. We write, publish and distribute textbooks for the homeschool market. I Googled St John Vianney and found your website. I expect to be in the Ft. Lauderdale area next month and thought about stopping by the 'Seminary.' I did not know it had ceased to operate at the high school level. It would be fun to get together with some of the old guys and swap stories. Late August or Labor Day weekend typically works best for me. Please post my update on the website with my email address. and not sure where that will take me. I can only wish the best for those with whom I shared a year of my life at SJV. This is Patrick Krayer. I was in the class that graduated in June of 1971. I went to SJV in 9th, 10th and 11th grades and then dropped out after the junior year. Thanks so much for working on this page and letting us reconnect with others from SJV. After graduating from HS, I went to FSU and graduated with a degree in Psychology. After graduation, I worked as a drug rehab counselor in an inner city program for a few years. I went back to school to further my education. I married Joan, and proceeded to go to Peshawar, Pakistan to work among the Afghan Refugees with different non-government organizations (NGOs). I worked in Peshawar till 2002. I had one child when we went to Pakistan and added two more while there. I eventually got an MA in Intercultural Studies as well as a Ph D. in the same field. I am presently working in Kabul, Afghanistan. I thoroughly enjoyed my time at SJV and benefited greatly from the experience, academically and socially. It would take too long to detail how God used those three years to shape my life. I am so much richer for the teachers, mentors, and fellow seminarians with whom I interacted. One more thing. You can put my email address in the clip so that fellow seminarians can contact me if they wish. Again, thanks for the work you have done on that page. I found the website for SJV and your email address and thought I would try to catch up. I am living in Gainesville, Florida. Single again. One daughter and one adopted daughter. I am an Air Conditioning Technician for 29 years and also retired from Sears as a manager in Boston. I teach air conditioning in the apprenticeship program at the junior college two nights a week while working a 45 hours week during the day. I am Lutheran (ELCA) and have been a deacon for 20 plus years, sat on church council, youth leader, Sunday school teacher and now on the Property Committee. I was President of the local bass club and also was a Director on the State Organization, FBF. Since I bought a home two years ago I gave up my fishing and enjoying home ownership. One of the church members is the organ teacher at the UF and was just in Vero giving an organ recital, maybe two or three weeks ago. She also plays the Carillon here in Gainesville and around the country. Drop a line when you get a chance. I have emailed Carlos Miyares who said he has mostly lost his eyesight. You probably now more than I as I have not stayed in touch over the years. St. John Vianney had just opened the year before (1959) I arrived there along with about 60 other thirteen and fourteen year old boys to begin what was then called the Minor Seminary. But there was nothing minor about it! Discipline was tough, studies were rigorous, standards were high, and great expectations were always being communicated to us. Nonetheless, we managed to survive, to grow, to learn, and to have more than a little fun doing it all! Those were the days when you could be "thrown out" for smoking, getting bad grades, and a lot of other things much worse (or so it seemed). It was a different world, a different church, a different Catholic culture. We didn't know it then but we were the group that was right on the brink of a major transition made possible by the Second Vatican Council. My classmates were: the ones who got ordained: Fr. Bill Elbert, Fr. Juan Sosa, Fr. Jim Vitucci (deceased) and a host of other characters like Tom Danton, John Bernabei, Chris Wright (deceased), Mike Hirsch (deceased), Steve Tight, Bill Neron, Tom Reinhart, Tom Ward, Richard Albrecht, Fred Ramirez, Ron Manasa and many more. We were taught by many of the original Vincentian faculty: Frs. Young, Day, Bradbury, Perrin, Walsh, Trunk, et al. I have lived in the Baltimore-Washington area for the past 34 years, am married, and have an adult, married son. I've spent my adult life working professionally for the Catholic Church (parish, diocesan, national) and am now serving on the senior staff of the U.S. Conference of Catholic Bishops in Washington DC. My name is John Barry Kelly. I was in the very first class. There were eight of us. We were high school seniors in the new seminary. Langford, Hill, Ryan, Bevelaqua, Perez, Carney, ---------, and myself. My sincere apologies to the missing member. I know you but I can't recall your name. I went through two years of college, so I'll know some of those folks, too. My family moved to Washington at that point and I lost touch with everyone. I attended a semester of major seminary at St. Vincent's in Latrobe, PA, before leaving. I live at 635 Reservoir Rd. in Burnsville, NC 28714. Burnsville is a small town about 40 miles north of Asheville. It's going to take me a while to update the databases, but messages you send me will get posted here within a few days. You have reached the end of the Reflections section. But why? I'm sure you have something to say about your time at SJV. Please send me your thoughts. It won't take long, and I'm sure it will bring back some great memories; both for you and your fellow classmates.